Tis the season, and as we rush around for our last minute Christmas shopping, I would ask that you take a step back and look at the gratitude you can share beyond your family. As a leader, now is a great time to provide tokens of gratitude for the work your team has done throughout the year and show that you care about them this season. A gift card, an easy bake cookie mix, a pen, even just a handwritten "Thank You" note can carry a lot of weight for your team and show that you are thinking of them. They will go into the Christmas/New Year break knowing that their leader cares about them and will be excited to return and work all the harder because of it. Too often, however, the leadership (or lack thereof) goes the other way. We assume that the team knows how much we value them (if we think of them at all), and do not take the extra effort to reach out and say thank you. By ignoring this opportunity to show gratitude, or assuming your team (or for that matter loved ones) know how you feel about them, you create an opportunity for misunderstanding or misgivings that can lead to problems in the next year. So, are you leaving a wrapped present under the tree for your team that they will never receive? Or are you finding ways to express your gratitude? I would love to hear how you plan on showing your gratitude this season. Please share it below! 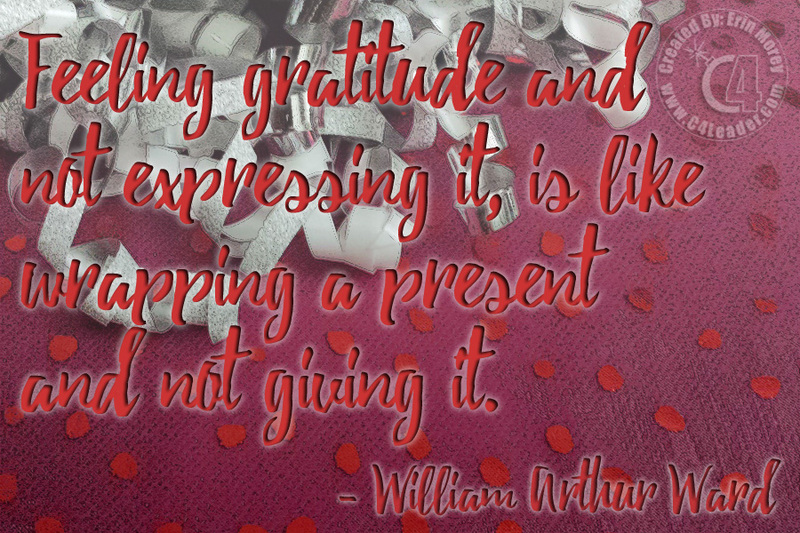 William Arthur Ward is one of the most quoted authors in American history. With 100+ articles, poems, and meditations written for magazines like Reader's Digest, his words are well known in American lexicon, even if his name is not.